Thai Volunteer Service (TVS) began in 1980. We used a small classroom of the Social Research Institute at Chulalongkorn University as our office for the Thai Volunteer Service Project. The place gradually became too small to accommodate young leaders from various universities throughout Thailand. During the 1980s it was the changing period not only for Thailand, but also for different countries around the globe. University students were eager to come and participate in discussions about democracy and social change. The ocean is made up of tiny drops of water. We started like a tiny drop of water and, for more than 30 years, we have been growing bigger and stronger by working and partnering with other NGOs. 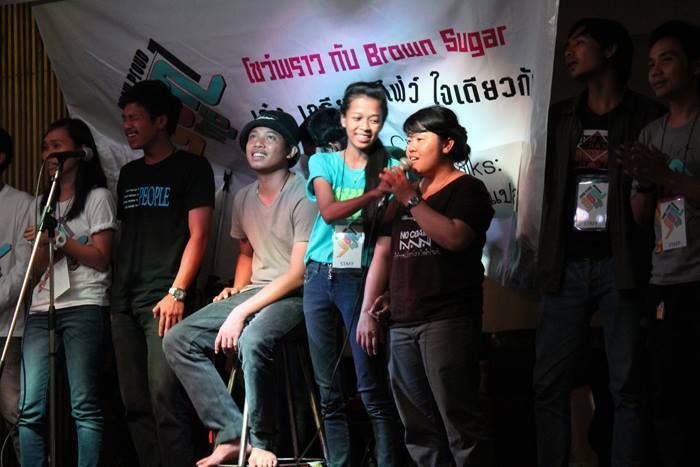 Thai Volunteer Service Foundation (TVS) was formally registered in 2000. The Thai Volunteer Service building is now located in Soi Ratchadapisek 14 and we can now provide meeting rooms and facilities for different non-profit organizations e.g. 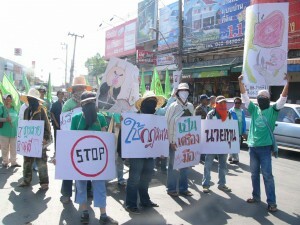 Foundation for Ecological Recovery, Development Worker Credit Union Cooperative, Prachathai and I-LAW. TVS believes that by providing different training and activities, young people can be encouraged to become volunteers to help those who are disadvantaged in society and can become agents of social change. We believe that by cultivating compassion and humanity, our world can become more peaceful and a better place to live. For the past 30 years, TVS has organized different projects for young people including Full-Time Volunteer, Human Rights Volunteer, Young People Development for Social Change and Teacher Volunteer etc. There are about 700 alumni of these projects now, not including the hundreds from the Part-Time Volunteers project. We also have the Collaboration for the Young Generation in Mekong Region project, which aims to build up collaboration among youth in the Mekong Region. The important mission of the Human Rights Volunteer Project is to give opportunities to committed young people who want to contribute to society and to be able to develop their analytical thinking and working skills. They achieve this by learning through working with an organization for 1 year, where they work with unfortunate people who have suffered from social inequality. This is in order to inspire the young people to continue working for society wherever they are in the future. Each year TVS recruits volunteers and provides them with training before sending them to work with different non-governmental organizations (NGOs) throughout the country. The volunteers receive a sufficient monthly allowance enough for their living. During the volunteering period, TVS provides training to develop their work and life skills by learning from their experiences, as well as providing them with technical knowledge which they can apply to their work. The volunteers work with various social issues, such as stateless persons, environmental issues, migrants, refugees, women, land issues etc. It is now the seventh batch of the one year program since the project started in 2006. At present, we have a total of 139 alumni and they have formed the Human Rights Lawyer Network. It has been registered under the Human Rights Lawyer Association and has provided spaces for exchange and learning on different social issues. The volunteers are able to share and gain different experiences which they cannot find elsewhere. The Youth Leadership for Social Change Project aims to develop youth leaders who have some experience at a certain level to become social change agents. The project provides an appropriate curriculum according to their age, aiming to build up a strong network and alliance among youth. It also aims to create space for youth to advocate for social change at policy level. By creating a learning-by-doing process, which includes workshops and training with various learning tools, the project will provide an exchange forum to build greater understanding as well as to develop knowledge and skills of the youth. Most importantly, we want to bring “wisdom of awakening” (self discovery) to the youth through different learning opportunities. They can be awakened and we know, with the power of youth, they can create alternatives and solutions to make social changes. 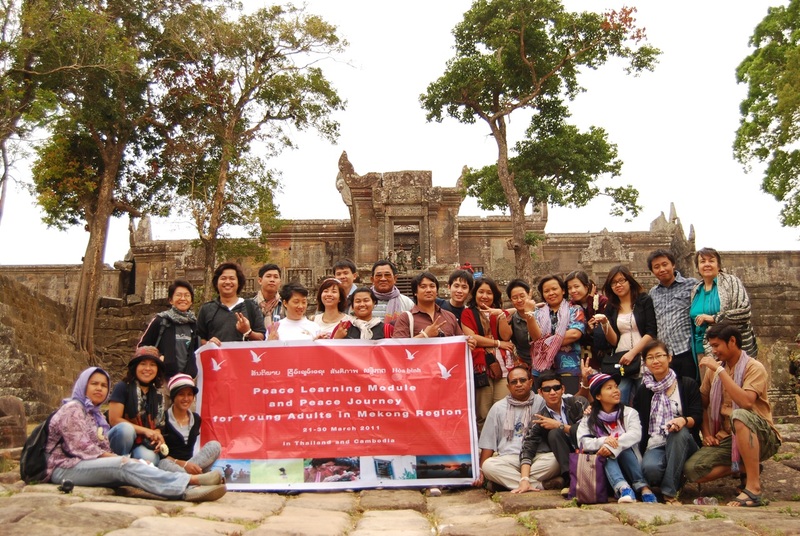 The Collaboration for the Young Generation in Mekong Region (CYM) is a platform for collaboration and networking among the new generation of social activists in Cambodia, China, Laos, Vietnam and Myanmar/Burma for social change. It was started by TVS in 2004. Economic development always involves potential trade-offs and it is unavoidable for our Mekong Region too. 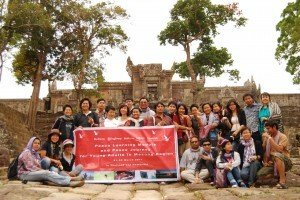 In order to provide youth with different opportunities to debate on issues such as economic efficiency, social equity, conflicts & peace and environmental sustainability, CYM has conducted various participatory forums, training and workshops such as the ASEAN Youth Forum, Mekong Peace Journey and Cambodia Thai Exchange Program. We also encourage youth participation on advocacy for peace, educational alternatives and social responsibilities. CYM is confident that members of the young generation are important regional change agents. Exchanging and sharing will lead these individuals to arrive at a common understanding of social problems at the regional level, as well as support them in building friendships free from national borders, racial prejudice and historical bias. For almost 10 years, CYM has brought together about 500 young people to be “agents of change” and “young peace-builders”. We believe that by networking with our younger generation we can make changes together and turn our society into a better one. Ultimately, CYM envision this network becoming a group with the power to create a just, equal and peaceful society in the region. The Thai Volunteer Service (TVS) building is a 5-floor building which has been constructed for more than 30 years. There are 5-6 Non Governmental Organization (NGO) offices sharing the building. These include Media for Community Education Foundation, Prachathai, NGO Coordinating Committee for Development (NGO-COD), Credit Union Cooperative for Development, Foundation for Ecological Recovery etc. The Thai Volunteer Service (TVS) office is located at the 2nd floor. TVS also provides a rental service of meeting rooms for other NGOs or alliance networks for meetings, seminars or press conferences. There are 2 meeting rooms which are of different sizes. - Sujittra Room on the 4th floor accommodates around 30-35 people: 2,000 Baht/day. 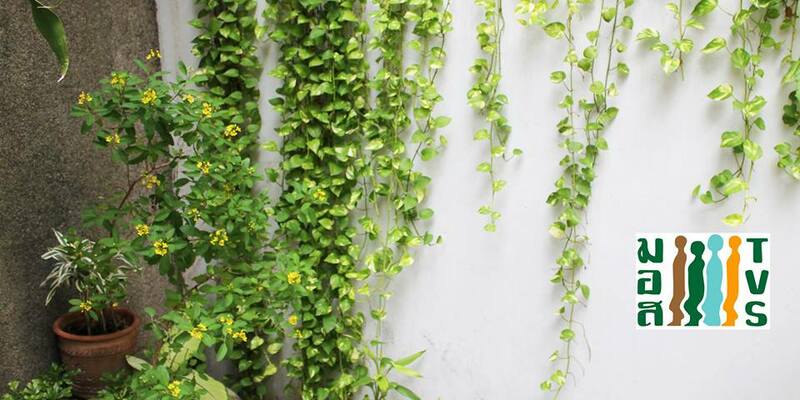 - Small meeting room on the 2nd floor accommodates around 10-15 people: 1,000 Baht/day. - Rice with 3 types of food: 120 Baht/person/meal. - Rice with 2 types of food: 100 Baht/person/meal.